This law firm focuses on helping people get disability benefits from insurance companies. Because law firm was built for that specific purpose, the firm has extensive experience with disability insurance claims. The firm represent clients across the country, and can help at any stage of your disability claim: - applying for long-term disability benefits; - long-term disability appeals; or - lawsuits against the insurance company for disability benefits. This law firm has significant experience handling long-term disability claims and lawsuits against every major insurance company, such as CIGNA, LINA, MetLife, Lincoln Financial, Prudential, Aetna, Hartford, UNUM, Liberty Life, Standard Insurance Company, Reliance Standard, and more. It is not uncommon for an insurance company to delay or deny your claim. The disability lawyers at Dabdoub Law Firm will aggressively pursue your long-term disability insurance denial. The firm is committed to getting the disability insurance benefits you are entitled to receive under your insurance policy. Because this law firm focuses on helping people with long-term (LTD) disability insurance claims and lawsuits, the firm knows how to win these cases. Dabdoub Law Firm has won several important long-term disability lawsuits, including at the federal court of appeals level. This law firm represents people at any stage of the disability claim process. The firm can help with your claim for long-term disability benefits or appeal a denial of disability benefits to the insurance company. The law firm is also very experienced with representing clients in lawsuits against disability insurance companies. The firm has significant experience with long-term disability claims and lawsuits against CIGNA, LINA, MetLife, Lincoln Financial, Prudential, Aetna, Hartford, UNUM, Liberty Life, Standard Insurance Company, Reliance Standard, and more. It is not uncommon for an insurance company to delay or deny your claim. The disability lawyers at Dabdoub Law Firm will aggressively pursue your long-term disability insurance denial. The firm is committed to getting you the disability benefits you are entitled to receive. This law firm was built from the ground up to represent people against disability insurance companies. The firm focuses on disability insurance claims, appeals, and lawsuits. By focusing only on disability insurance, the firm knows how to win disability insurance cases. In fact, the firm has won several significant long-term disability cases, including at the federal court of appeals level. We focus on helping people get disability benefits from insurance companies. We have extensive experience in this area of the law. We help clients nationwide. Mr. Dabdoub's legal practice is dedicated to the representation of individuals with long-term disability claims. He handles long-term disability claims and disability appeals with insurance companies, and, if necessary, he represents clients in lawsuits against insurance companies. Mr. Dabdoub's passion for helping people with disability insurance claims began while he was still in law school. In Mr. Dabdoub's first case, he represented a man who suffered from chronic back pain. The insurance company terminated his disability benefits even though he remained disabled and his doctors supported him. Mr. Dabdoub fought the insurance company and got this person get back the benefits he deserved. After that experience, Mr. Dabdoub decided to commit his legal career to fighting for those who were wrongly denied disability benefits. 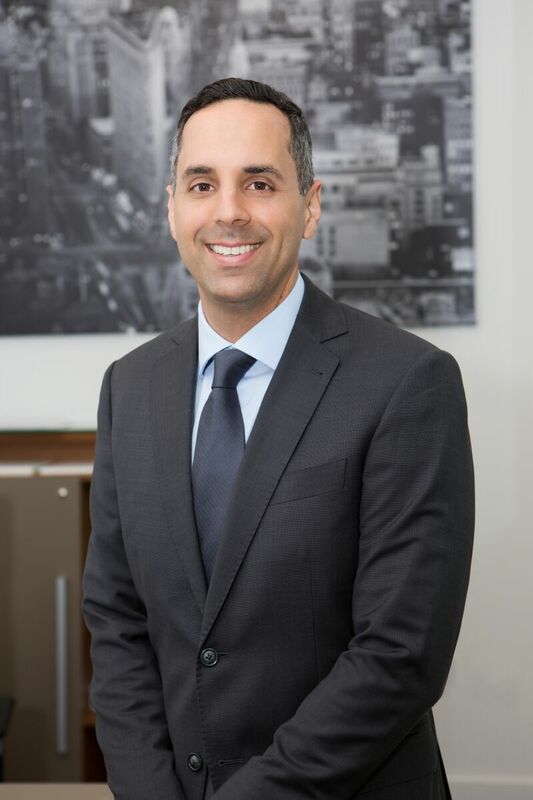 Over the years, Mr. Dabdoub has gained significant experience with disability insurance cases and his law firm has won significant cases, including at the federal court of appeal level. He has taken on all major disability insurance companies in the country, including Hartford, UNUM, Prudential, Aetna, CIGNA, Liberty Mutual, Lincoln Financial, Reliance Standard, Standard, Mutual of Omaha, and more. He has also participated as a guest speaker at local and national legal conferences and seminars on long term disability benefits, and has also authored articles on the subject. Prior to law school, Mr. Dabdoub earned a Masters in Business Administration. Today, he runs Dabdoub Law Firm - a disability insurance law firm focused on representing people who were wrongly denied disability benefits.